What to do if you get sick at college. The combination of stress, lack of getting enough sleep, and being around lots of people at college can cause students to get sick more frequently. When you are sick, much of your energy will be used to fight the illness. 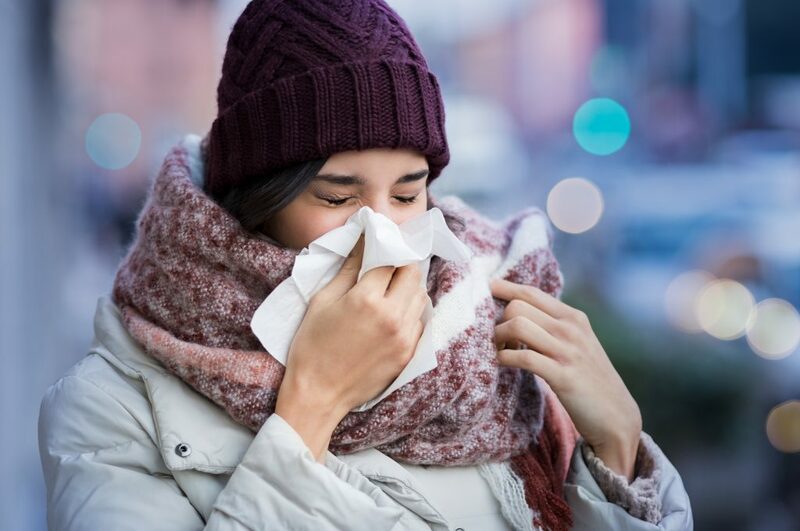 Since we are still in the middle of flu season, we want to remind you of some tips for staying healthy or taking care of yourself if you do get sick. Wash your hands frequently, and especially before you eat. There are waterless hand washing stations in most buildings on campus. Use them! Try to get enough sleep and drink plenty of liquids. Liquids are important to replace fluids you may be losing from a fever or other reasons, and liquids help loosen mucous. It’s helpful to have a few medications on hand. Having some tylenol, cold medicine, throat lozenges, or other medications that you take when you feel sick will mean you don’t have to try to get to a grocery store or Walmart when you’re sick. While skipping class is never a great idea, if you have a fever, are sneezing or coughing, or just feel really awful, notify your instructor and stay home for the day. SKC's Student Health Clinic has a doctor available on Monday mornings and Thursday afternoons as well as a nurse at various times to administer vaccines. The clinic is open to students and their family, staff, and faculty.